The theme of this month's photo challenge coordinated by P.J. over at a 'lilhoohaa is "new". Now I wasn't able to participate in the last couple of challenges so I'm happy to be back for the first one of the New Year. 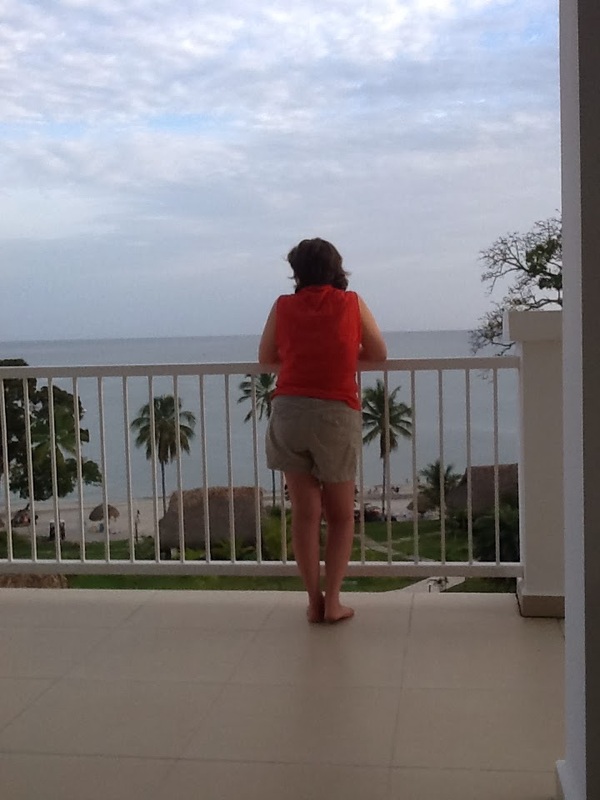 Speaking of New Year I spent the first couple of weeks of January in Panama. While the so-called Polar Vortex roared to record low temperatures at home, I spent my days on the beach, in the ocean and playing golf in sunny 90F temperatures. Oh, yes I did. And I look at today's challenge as another opportunity to do so again! Ohhhhhhhhhh, look at that beautiful green golf course! You lucky duck! I'm happy someone got to escape the Polar Vortex! Due to some unforeseen circumstances, we had to cancel our winter vacay to Mexico. :-( Thanks for showing some of your pics to help me warm up! It's only a 9 hole course but it's gorgeous and fun to play. Believe me, I wish I was back there right now. Ah, what gorgeous photos. Let's all go there tomorrow! The golf club shot made me smile a LOT. I love the shot... and for a golfer, I bet that was heaven. The other one that especially caught my eye was the first one.. like a burst of amazing sunshine behind the clouds! It was heaven, indeed, Katherine and we go here every year. 90F, sun every day, steps from the ocean - you can't argue with that. Great pics, Noname. I wouldn't have minded starting off my New Year like that. As you know, January was nothing but suffering as far as the temps were concerned. The temperature here was absolutely depressing. But I didn't feel too bad sitting on a 90F beach sipping a Corona or two, Mike. I like the shots. My favorite is the golf course shot however. Rich green grass, with an interesting perspective showing the clubs that let you know where you are if you confused without them. Thanks, Meleah. It was a great place to be while everyone else was caught in the grips of the Polar Vortex. Yeah, the warm part is what attracted me. What a wonderful "new" year start you had! Oh, absolutely. We certainly started off on the right foot.